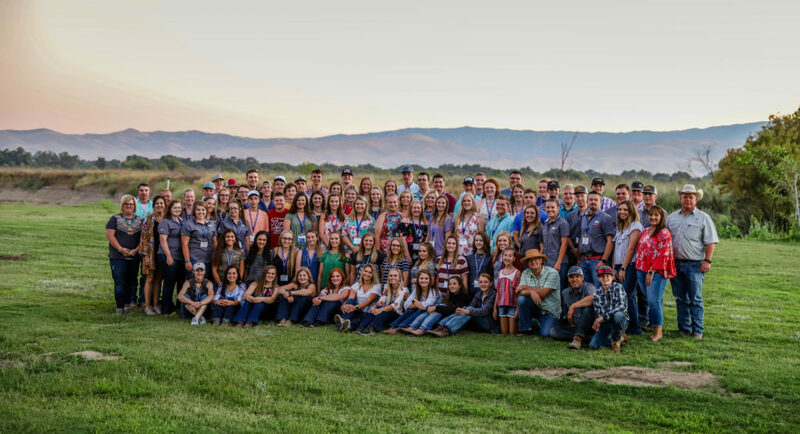 76 members of the National Junior Hereford Association (NJHA) travelled to the Golden State Aug. 1-4, for the ninth-annual Faces of Leadership Conference, sponsored by the Hereford Youth Foundation of America (HYFA). Participants ages 14 to 21 arrived in San Francisco to gain leadership and communication skills, what they left with was much more. From industry tours to leadership workshops to motivational speakers, there was something there for everyone. Of course, one of the highlights of the conference as always is the friends met along the way. The event kicked off Tuesday afternoon with an opportunity for NJHA members to get to know one another through icebreaker activities led by the NJHA board of directors. The Faces of Leadership Conference serves as an opportunity to network with other individuals interested in the Hereford cattle industry as well as leadership and industry professionals. 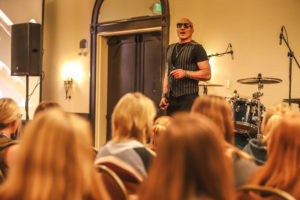 During the opening session of the conference, participants were star-struck as they listened to professional drummer and motivational speaker, Kenny Aronoff, play some of the most famous songs he has been a part of. He stressed the importance of adversity and tenacity, teaching the NJHA members to not give up on their dreams and no matter how many times they heard “no” to never give up. Participants joined the Coleman family in Modesto, Calif. for the second day of the event. The Coleman’s own and operate Sierra Ranches, the founding members of HYFA’s Foundation 1 Club. They also had the opportunity to walk through their walnut and almond orchards and the vineyards. The group had the opportunity to see a state-of-the-art robotic dairy farm. The operation is home to 12 robots that automatically milk the cows. 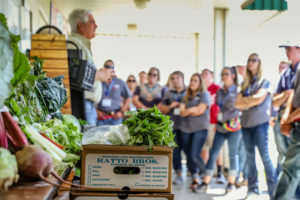 Ratto Bros. fresh produce was next on the list and they were happy to share their journey with the group. After traveling back to the hotel, participants listened to a panel of individuals who are have been involved in agriculture their whole lives. Rick and Bonnie Coley-Malir and Matt Leo were generous enough to dedicate their time to tell their story to the youth at the conference. The evening ended with a fun-filled night with the Sierra Ranches crew. The next morning the tour buses were loaded and the group departed for Pedretti Line 1 Dominos. 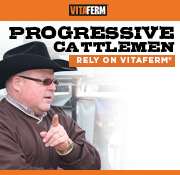 American Hereford Association (AHA) Hall of Fame member and past board of directors member, Gino Pedretti along with son-in-law and current AHA board member, Mark St. Pierre talked about the operation. 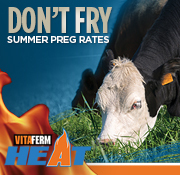 Their main objective is to supply good performance, tested, range-ready bulls for the commercial cow man. Pedretti Ranches also includes the dairy farm. 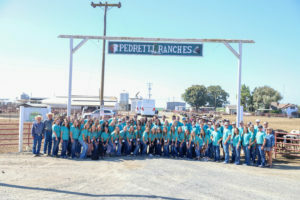 Youth members were able to see a conventional milking parlor and learn about the history of both sides of the Pedretti’s operation. After that, it was off to Minturn Huller Cooperative to see more of the California almond industry. The last agriculture industry tour on the trip was to Hilmar Cheese Company which specializes in the production of natural cheeses. 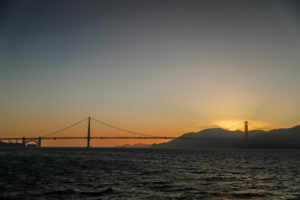 After enjoying an evening aboard the San Francisco Hornblower for a dinner cruise around the San Francisco bay to see the Golden Gate Bridge and Alcatraz, NJHA members headed back to their homes. Through the miles traveled and the knowledge and skills gained, the Faces of Leadership conference has once again impacted members of the NJHA. A HUGE thank you to all Faces of Leadership hosts and sponsors, especially HYFA, the NJHA, the Coley-Malir Leadership Endowment, Sierra Ranches and Pedretti Ranches. Faces of Leadership 2018 from American Hereford Association on Vimeo. Click the icons below to share this story!